Well the end of Summer is close here in the UK and what better time than this to make a heart warming Steak pie for dinner? 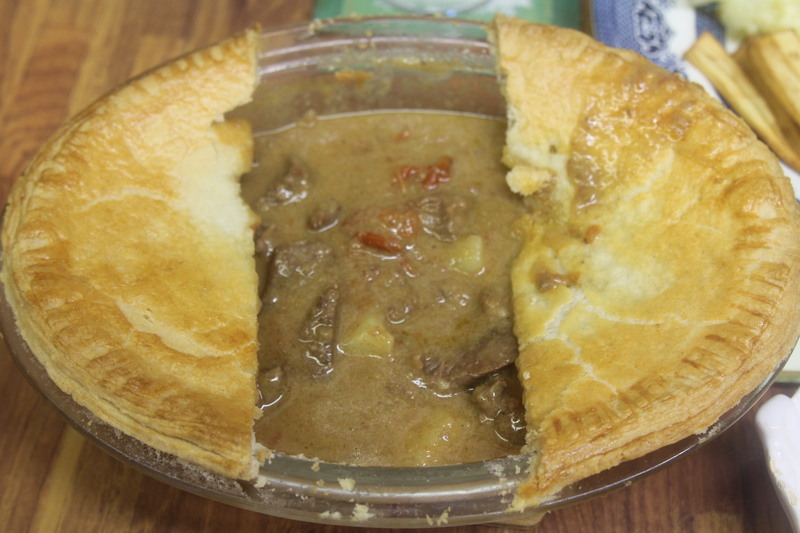 You will need some nice steak for this pie, I used a stewing steak that was on special offer at the local butcher. 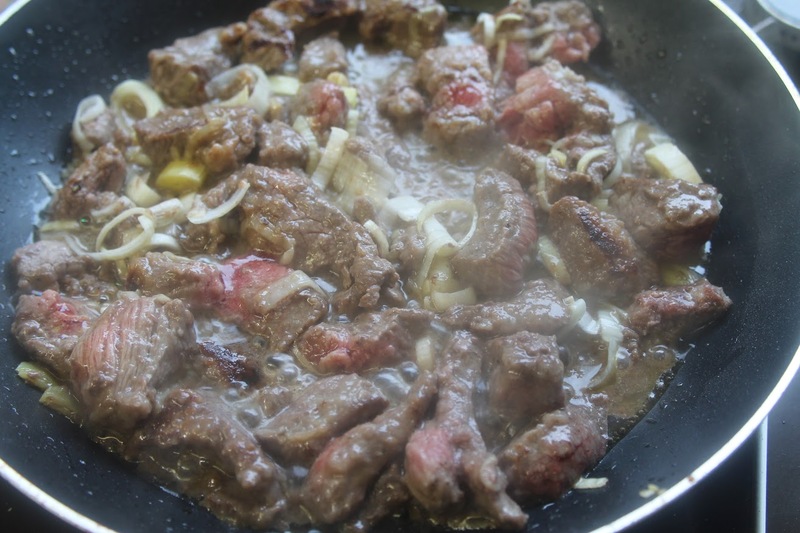 I usually use braising steak which is a bit more expensive but does not take as long to cook. My brother uses a tin of already cooked steak! He also uses ready made pastry so his pies are made very quickly! 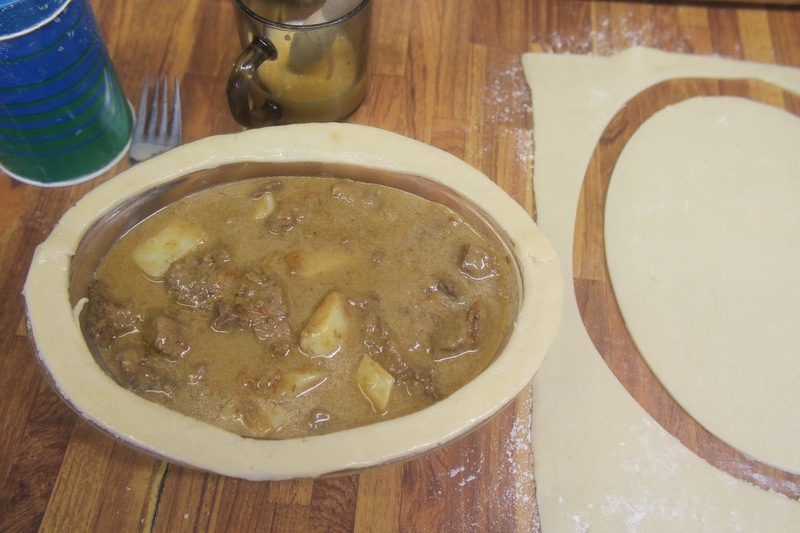 I did stew my own meat and make my own pastry but there is very little difference between our pies! If you are using fresh meat then be guided by the butcher as to how long you need to cook the meat until it is tender. Toss the meat in seasoned flour and fry quickly in hot fat to seal all sides. Add the onion or leek and brown slightly, browning gives a better colour to the gravy. Add the stock and cook either on top of the hob or in the oven if it is on for something else. When cooked add the potatoes, roll out the pastry and use it to line a pie dish, add the potatoes and meat and top with the pastry crust. Brush with egg wash and bake in a hot oven for 20 minutes. Serve immediately with lots of fresh vegetables.